Across the nation there are numerous college and university alumni associations that go back to their institutions. But how many high school associations do the same? Maybe a few. And probably even fewer in the same fashion as the Calvin Coolidge Alumni Association, Inc., in Washington, D.C. Established in 1987, the Calvin Coolidge Alumni Association, Inc. was founded on the principle of "enhancing student life at a notable institution of higher learning," says the organizations co-founder and current President, Frank Jones, III. The other co-founders are James A. Scott, Jr. and Barrington D. Scott. "A major goal is to establish functional program and activities that will reinforce student education academic support, career orientation and college preparation," Jones adds. The purpose of the association is to “give back” to the students, school and community. The association plans to implement activities that represent an investment in the students that attend the school and the community of families and friends that support the school. To accomplish the goals of the association, a major ongoing effort of locating and enrolling alumni has been key to the success of growing the organization’s membership. The association continues to support students by providing mentoring programs, assisting students with identifying career goals and providing college scholarships and financial assistance. To this degree, upon the association's founding it established a partnership with Mentors, Inc. Since 1987 more than 100 students have been mentored by members of CCAA Inc. The mentors are alumni of Coolidge who spend time with the students in an effort to enhance the students' transition to either post-secondary education or entry level employment says Neil Faulkner, past president of CCAA Inc. and twice mentor of the year in 1992 and 1995. "Spending time with the students provide opportunities to foster their self-esteem and decisions, making skills," Faulkner says. To honor Coolidge distinguished graduates, the CCAA Inc., annually host an alumni breakfast ceremony. In addition to CCAA Inc.’s, participation in the mentor program the association annually partners with the entire school as hosting career day at Coolidge. The yearly program occurs the second week in December and is "ever increasing" says James Proctor of CCAA Inc. "We take over the entire school and all of the student body participates," Proctor says. He adds there are approximately 60 - 80 facilitators who address the Coolidge student body of approximately 900 students in groups of 25 to 30 students. During the past 12 years of partnering with the school, almost 700 different mentors have participated in the career day experience. Some of Coolidge graduates include: business man and former publisher of the Regardie magazine, Bill Regardie; sportscaster Warner Wolf, former professional basketball player Kermit Washington; former professional football player Mike Butler; the late television producer Linda M. Marmelstein, whose shows and series earned Emmy awards; and the late architect at the Capitol Donald Gunnell, and Neil Shulman, Author of “Doc Hollywood” which later became a movie starring Michael J. Fox; Dennis (’61) and Phillip (’56) Ratner of the Ratner Museum in Bethesda, Maryland, Dennis found and CEO of the hair salon chain, Hair Cuttery and Phillip the sculptor with works at the U.S. Supreme Court, Liberty, Ellis Island. 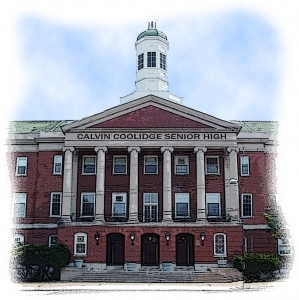 YOUR HELP IS NEEDED TO DETERMINE IF CALVIN COOLIDGE HIGH SCHOOL STAYS OPEN OR CLOSES! 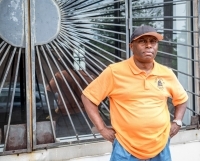 It was a poster that Frank Jones III saw 30 years ago that prompted him to help create a different kind of high school alumni association, one that was more about the future than the past. The poster advertised a St. John's College High School alumni event at the old Walter Reed Army Medical Center featuring Joe Gallagher, the school's famed basketball coach. Jones didn't go to St. John's, but he worked at Walter Reed - he ran the hospital's extracurricular programs for patients and their families - and decided to go. Gallagher was a fine speaker, but what really impressed Jones had nothing to do with basketball. "I listened to the alumni association from St. John's talk about strategy, what they were going to do with their school and their kids," he said. "I couldn't believe all the stuff. It made me realize how schools like St. John's were always more successful than we were." 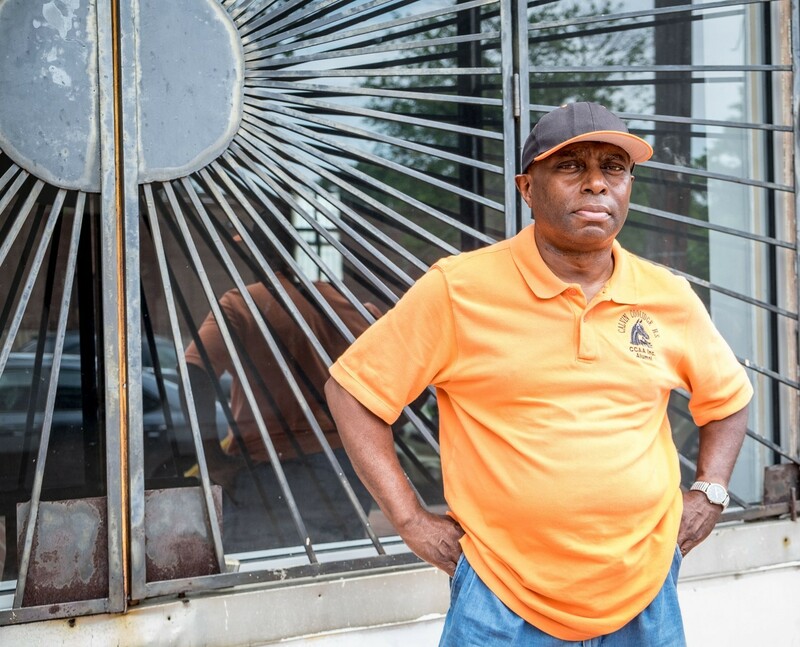 Jones was a 1975 graduate of Calvin Coolidge High School in the District's Takoma neighborhood. It was a fine school but St. John's seemed to exist on an another plane altogether. "They talked about getting their kids ahead in terms of academics and athletics," Jones said. "It just gave me an idea of trying to do something similar." And so - with the help of James A. Scott Jr. and Barrington D. Scott Sr. - Jones founded the Calvin Coolidge Alumni Association. "We're not talking about reunions," Jones said. "We're talking about an alumni association that comes back and does after-school programs. Or maybe there's students who don't have clothes for their proms. Or when the school wants to do an incentive program." Jones said that since 1986, CCAA members have raised $2.2 million in money and in-kind donations for Coolidge. "That's not a lot of money for 30 years," Jones said. "But that's a lot for an organization that does nothing but volunteer work." Jones - a commissioner in Advisory Neighborhood Commission 4B - is a fierce advocate for Coolidge. He's impatient that it hasn't undergone the modernization that every other District high school has enjoyed. And he bristles whenever there's been talk of shutting down Coolidge, which was founded in 1940 as a whites-only school. "You can't have an alumni association without a school," he said. While the alumni group strives to keep the focus on today's students, it also celebrates past students, a group that includes such success stories as Ted Wells, the high-powered attorney who investigated "Deflategate," local magazine publisher Bill Regardie and Washington Informer publisher Denise Rolark-Barnes. Former National Basketball Association player Kermit Washington went to Coolidge. So did sportscaster Warner Wolf and former Montgomery County executive Sid Kramer. Five U.S. ambassadors attended Coolidge. One of them was Patrick N. Theros. When he finished his stint as U.S. ambassador to Qatar in 1998, he was replaced by Elizabeth Davenport McKune. She went to Coolidge, too. The Calvin Coolidge Alumni Association, Incorporated, (CCAA, Inc.) is an organization incorporated in 1987. CCAA, Inc. prides itself on its adherence to the philosophy of ‘giving back to the community’. The Association provides mentoring programs for students and supports students in identifying career aspirations. CCAA, Inc. is unique because it is a high school, community-based organization, steeped in diversity in Washington, DC. CCAA, Inc. strives to establish and maintain contact with high school students before graduation and continue to be a source of support to graduates when they return to their communities. Every student is encouraged to join the CCAA, Inc. and bring their talents and gifts to strengthen the long-term mission and goals of the organization. To become a member of CCAA, Inc. you must have attended Calvin Coolidge. Membership categories are Lifetime Member, General Member, Student Member and Affiliate Member. All new members receive CCAA By-Laws, Constitution, Mission Statement, Quarterly Newsletters, Membership Card, and Embossed Membership Certificate. Annually, during the 2nd week in December, CCAA, Inc., partners with the school to host CAREER DAY AT COOLIDGE. CCAA, Inc. recruits alumni and professionals from the community to discuss their fields of expertise and educational background. Facilitators classify careers according to science, trade, civil service, health, and the arts. The students select two career seminars to attend. During the past 14 years of partnering with the school almost 1000 different professionals and mentors have participated in the career day experience. CCAA, Inc. in collaboration with Coolidge’s Parent Teacher Student Organization (PTSO) has begun to plan for the opening of a new Parent Alumni Community Resource Center, to be located at Calvin Coolidge High School. The center will provide outreach programs, information and in-kind resources to improve and promote parental and community involvement within the academic environment at Calvin Coolidge High School. The center activities will include mentoring students, providing information and support to parents and sponsoring innovative training programs for Coolidge students, parents and teachers. For the past 21 years, CCAA, Inc. has awarded scholarships to deserving seniors to aid in their post secondary education goals. The largest fundraising event of CCAA, Inc. is the Annual Alumni Scholarship Awards Breakfast held every October. Distinguished alumni are honored for achievements in their careers and communities. Although we honor our alumni, the main purpose of this event is to raise funds for scholarships. In 2007, we have the honor of presenting two additional scholarship awards, the Phyllis S. Wells Scholarship and the Joe Shamwell Memorial Award.